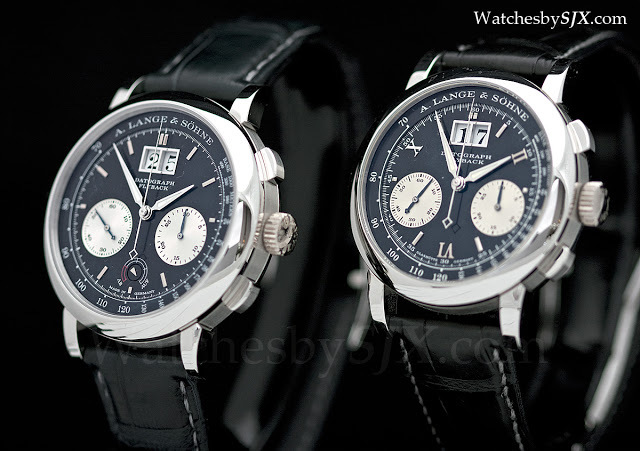 Last December Lange announced the new Datograph Up and Down, 12 years after the original Datograph, which has become a landmark watch. A friend of mine asked me for a pictorial comparison of the new and old Datographs, and here it is. 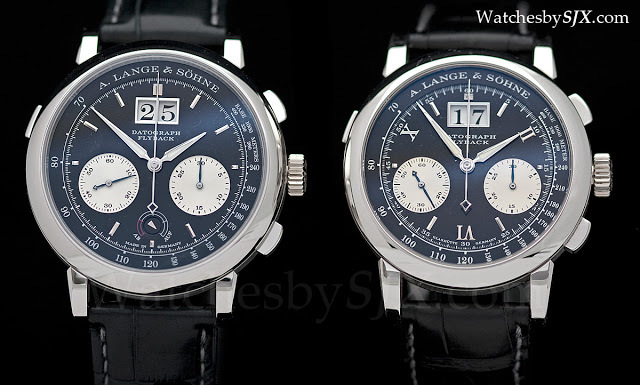 Because Lange maintained the proportions of the dial, even increasing the size of the date, it looks remarkably similar at first glance. Even the model reference remains the same 405.035. But upon closer examination the differences are clear. The new model has a power reserve, shorter minute indices, baton hour markers, and a shorter central minute hand. Overall it looks more modern. In addition to being wider, the case also has thicker bezel, while the case band seems to be the same height. 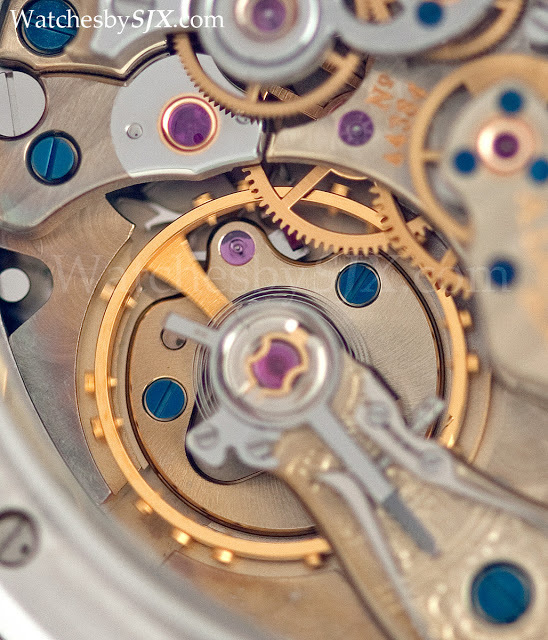 And the movement is nearly identical though differences are obvious, like the in-house balance wheel in the new model, as well as the changed chronograph levers. 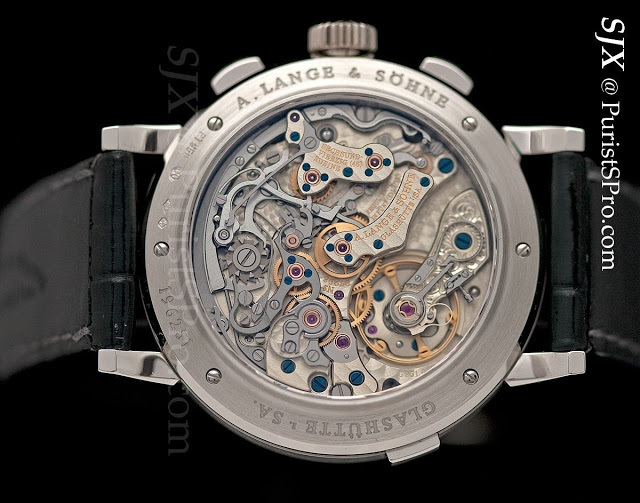 The new movement is the L951.6, while the original Datograph was L951.1.